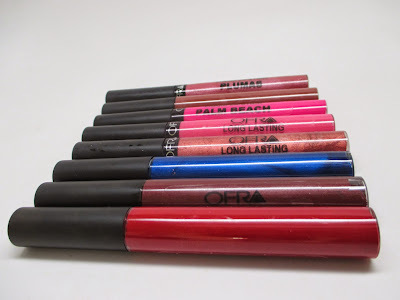 Congrats to everyone for entering my giveaway for the fabulous set of Long Lasting Liquid Lipsticks from Ofra Cosmetics. This is my first Holiday giveaway of the season so if you didn't win, no worries, I've got many more planned! To claim your prize, please email me by 12/3/14 by 11:59pm EST to claim your prize or it goes to someone else. For all others, don't forget to enter my CoverFX Mega Holiday Giveaway here.